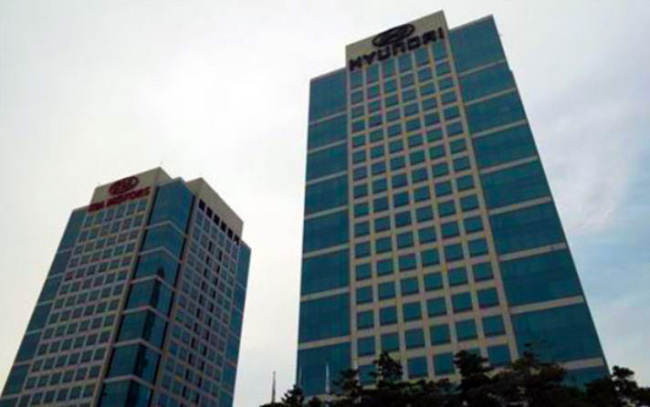 Hyundai Motor Co. and Kia Motors Corp., South Korea's two biggest carmakers by sales, said Thursday they are reviewing a US request to testify in regards to engine fires in their cars next month. Hyundai and Kia's US operations received the request from the Senate Commerce Committee to appear at a hearing on Nov. 14 on reports of engine fires in their vehicles. Management is "currently reviewing" the request, a Hyundai spokesman said over the phone. 100 fire complaints have been filed with US safety authorities since June 12 and consumers have demanded 3 million vehicles be recalled immediately, according to foreign news media reports. Hyundai and Kia said they will swiftly recall any vehicles with components that have safety-related defects. The two carmakers together form the world's fifth-biggest carmaker by sales.